Back in the distant history of time (before 2007) Adobe Lightroom didn’t exist. If you wanted to manage your digital image library, you needed library management software, which was quite expensive. Today, things have changed, and a lot of people are finding the Adobe software rental model expensive. A lot of people are finding they can’t justify the cost and want a viable Adobe Lightroom alternative. 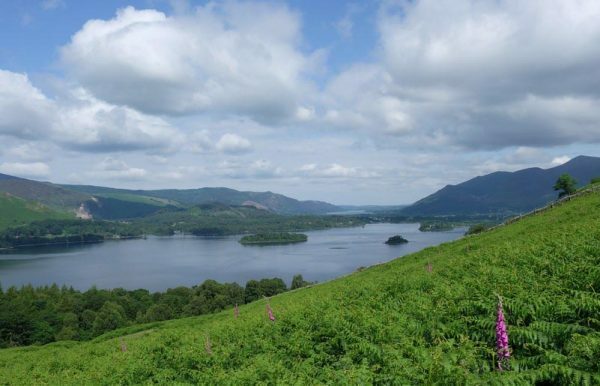 In this article I’m going to share one of the lesser known alternatives. Back in 2004, I was using a software package called ACDSee to manage my image library. At the time the features were basic, but they were easy to use. I can’t recall exactly why, but I decided to make the switch to a product called MediaPro from iView. This had a lot more features but was more difficult to use. Microsoft then bought iView who rebadged MediaPro as Expression Media. Expression Media had even more features, but some of these gave me big problems. The software became almost useless in my workflow. That’s when I made the switch to using Lightroom 3 to manage my photo library. Recently, a couple of people have suggested I look at the latest version ACDSee as it was a super image editor. This grabbed my attention and I decided to take up a 30-day free trial. After a couple of days experimenting with the software I purchased ACDSee Ultimate for Windows. Not because I need to replace Adobe but because I know a lot of people will like it and I want to be able to use it well. 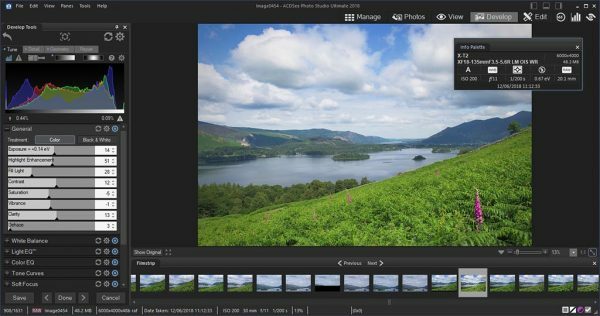 If there’s one thing Adobe Lightroom does really well, it’s help you manage your images. You can organise your images into folders, apply ratings, add colour labels, assign keywords, group them into collections as well as lots of other things. But not everyone needs this level of complexity. Many people just need a way to organise and browse through their images. At most you probably want to be able to search metadata for your photos to find one. What caught my attention with ACDSee is that it provides all these features in the Manage module. In fact, so far when I have been exploring ACDSee, the features have matched most of those in Adobe Lightroom. For example, you can add and manage keywords, assigning these to images. You can create Collections to group together images. There’s even a Smart Collection where you create rules to automatically add images to the collection. If you know the Lightroom Library module, I’m sure all this is sounding familiar. The other feature of Lightroom that most people use is the RAW converter or Develop module. And again, this is in ACDSee and the features all feel familiar. But features aren’t everything when it comes to RAW converters. Image quality is what really counts. Given my past image quality problems processing Fuji RAF files with Lightroom, I was keen to find out how the ACDSee Develop module would fare. 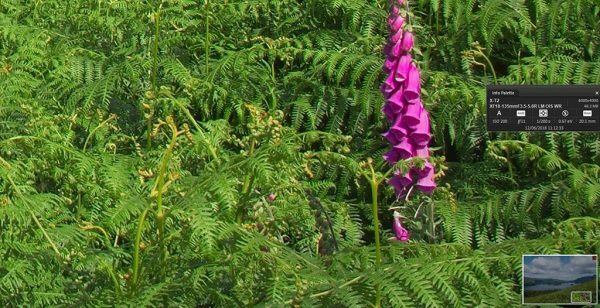 One subject that Lightroom really doesn’t like when converting Fuji RAF files is bracken or fern. The detail in these images often takes on an unnatural wormy appearance when converted in Lightroom. That’s why I decided to test ACDSee using this photo. This is the in-camera JPEG captured using the Fuji Provia setting. The screenshot below shows the RAW file from this photo in ACDSee. 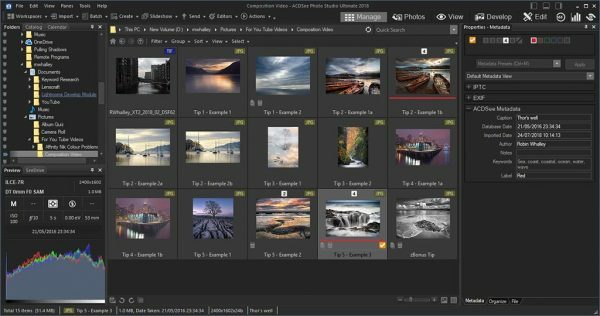 Here the development tools in ACDSee are familiar and provide most of the Adobe Lightroom features, as well as including a couple more. What’s very surprising though is when you zoom in to 1:1 magnification and you can see the high quality RAW conversion for the RAF files. There isn’t a wiggly pattern in sight and the result is very natural as you can see here. Although its features make ACDSee a good Adobe Lightroom alternative, the Ultimate version of ACDSee (which I purchased) also includes “Layered Editing”. This is something that Adobe Lightroom doesn’t have. I wasn’t sure what to expect when I switched to the Edit module but was again pleasantly surprised. It appears to have similar capabilities to Photoshop in terms of photo editing. To the left of the interfaces are adjustments such as Levels and Curves which you can apply directly to the current image layer. Over on the right of the interface you can add and manage your image layers. This also includes adding Adjustment Layers, Masks and Blending Modes. Everything seems very familiar but just looks a little different. One area that sometimes causes difficulty in Photoshop clones is Luminosity Masking, so I was keen to see how ACDSee performed. The ACDSee solution is Pixel Targeting. It’s quite innovative and possibly the easiest such tool that I have come across. 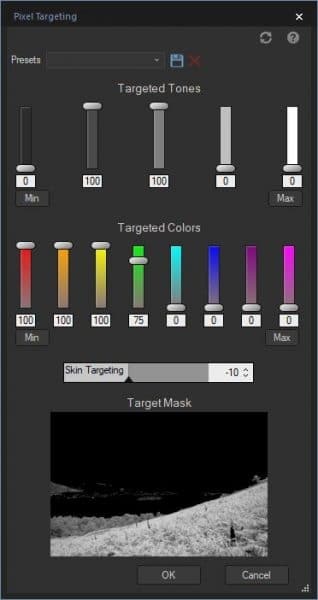 It allows you to generate a mask interactively with sliders for both tone (Luminosity) and colour. You can see an example below where I used the sliders to select only foliage with a midtone and create a mask based on this. Example of the Pixel Targeting feature being used to create a mask. I was also interested to find that ACDSee supports plugins including many of my favourites like Alien Skin Exposure, Topaz and The Nik Collection. If you want to read more about the compatibility they have a page on their website. Overall, I’m really surprised by the value ACDSee now offers the photographer. 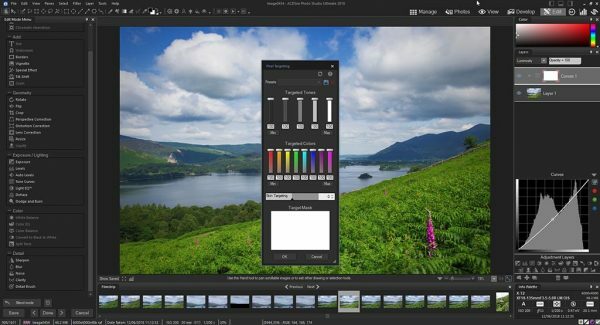 If I wasn’t already using Lightroom or I wanted an Adobe Lightroom alternative, I would consider this software. The company has even produced a page of helpful guidance and tutorials to support anyone who wants to migrate away from Lightroom. I also took advantage of a 50% discount offer which made the software excellent value. If you are interested in alternatives to Adobe Lightroom I would recommend downloading the ACDSee 30-day trial. You might also like my article Great Lightroom Alternatives for Photographers. Great article Robin and this software looks very promising. I could be convinced to switch from Lightroom if only…. I’m sitting on a few thousand of those and for me that is a dealbreaker. I wrote to ACD and they have added a feature request to their development list so maybe things will change. Thanks Robin; great information in the in Focus newsletter as always. ASDSee looked interesting so I downloaded the Ultimate version as a trial. Generally very impressed with the Management and RAW conversion modules and the Edit functions look very promising. The bad news is that although most of the NIK collection plugins seem to work, Viveza doesn’t…………… it appears to work at the preview stage but crashes the whole ACDSee programme when OK is pressed. To be fair, they leave off Viveza from their Supported Plugin list but its still a potential game changer as I use it quite a lot. The only other problem for me is that it doesn’t seem to offer access to the RGB channels? I spend quite a lot of time processing IR images where I want to swap the R and G channels. I also deal with astrophotography where RGB channel manipulation is commo so, once again, for me this is a serious limitation in a ‘one shot’ image processing programme. I’m debating whether its worth getting this for the impressive Manage and Raw conversion modules – even if I have to transfer to PS to do some actions? In my tinkering, I didn’t try all of the plug-ins. Viveza seems to be a bit of an odd ball in the Nik line up although I use it regularly. Many of the interface features differ from the other tools so this doesn’t surprise me. When you say they don’t offer access to the RGB channels, I’m not sure I follow. I can access each of the channels in Curves tool or the RGB channel mixer. Can you give an example of what adjustment you are trying to do and I may be able to help. as soon as I’ve read thia article I’ve bought ACDSee. I used this program until I’ve started to use Lightroom 2, and until now I’ve been very satisfied with this. But now I’m very disappointed because the choices of Adobe, and about the possibility that in the future I Should buy a camera whose RAW file are not supported by a non upgradedLightroom. So I think to keep on using Lightroom, start learning ACDSee and in the futur start using it if my RAWs wont be read fron Lightroom. I just hope some books about ACDSee will be published, because the documentation about Lightroom (in particular your books, that I’ve really appreciated) is a strong reason for keep on using it. Thanks Veniero. I’m please you like the article. It’s my intention to build up a knowledge base of articles and books on lots of the editors that I like and use. ACDSee will be one of those. It’s going to take me a few years but I think it will be worth it. I also think a lot of people will be happy to have options other than Adobe. I’ve been using ACDSee for years and find it suits me very well and I have about 30,000 images tagged, categorised and labeled in my database. The combination of catalogue, development and editing tools fit my workflow. I am not a heavy manipulator of images generally, but I do find many images benefit from the LightEQ function which is fast and effective. One shortcoming relevant to Fuji is that it can’t deal with Compressed RAW, but imagine that will change in time. There’s a fairly regular development cycle, so I hope the absence of the LR align and stack functions is rectified soon. For anyone uneasy with Adobe’s subscription model, ACDSee is an alternative well worth considering. Thanks Peter. It’s great to hear of someone using the image management features of the software. Most people seem to focus on development changes. I wasn’t aware that the software couldn’t cope withthe compressed RAW files from the Fuji. Although I don’t use the feature, its worth knowing this. It’s also good to know there is a regular development cycle – let’s hope the features become standardised across platforms.